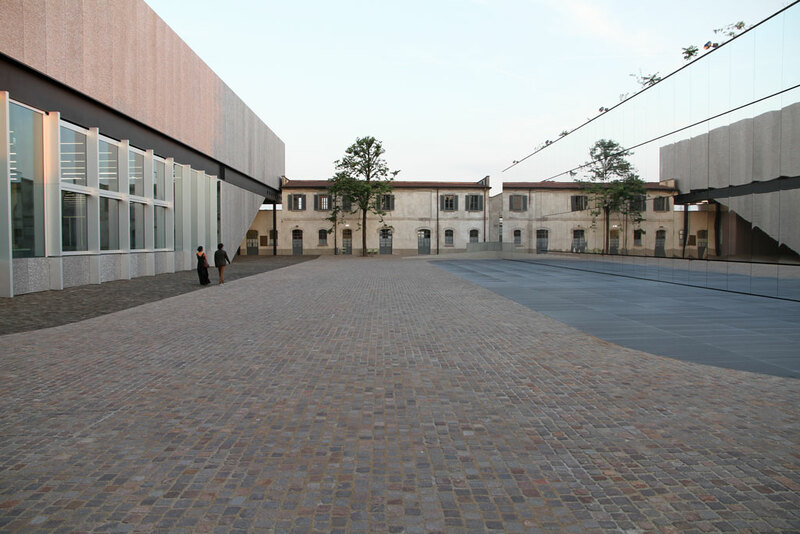 Opened on May 9th, Fondazione Prada Milano is a great complex of buildings and public spaces that you have to visit if you pass around here. 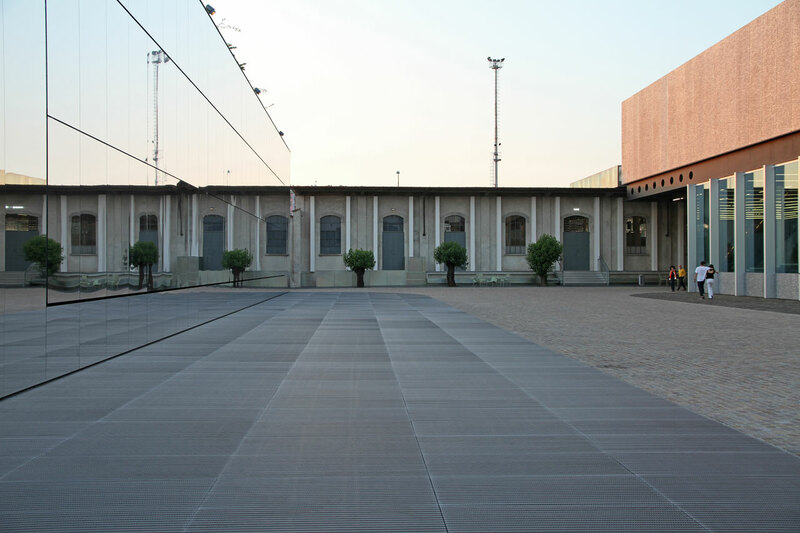 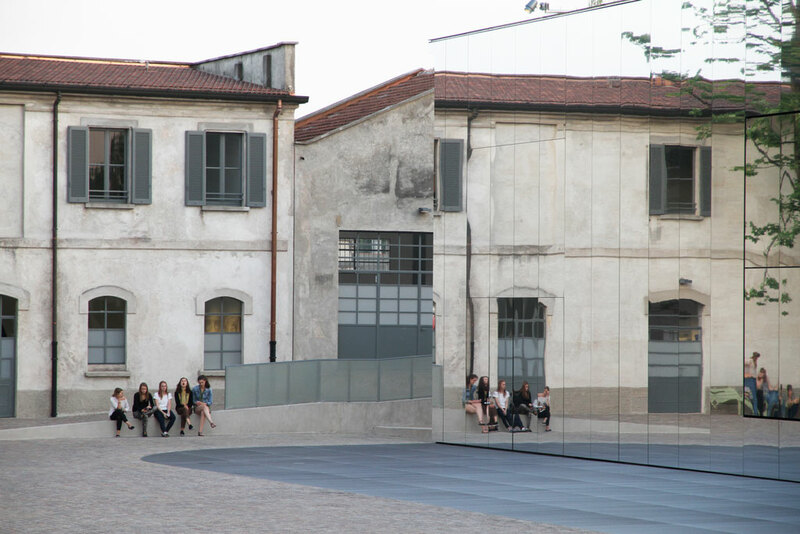 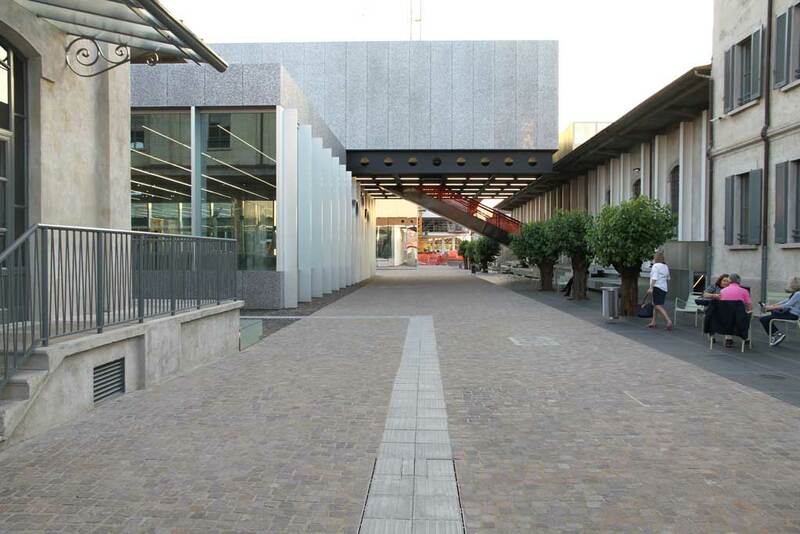 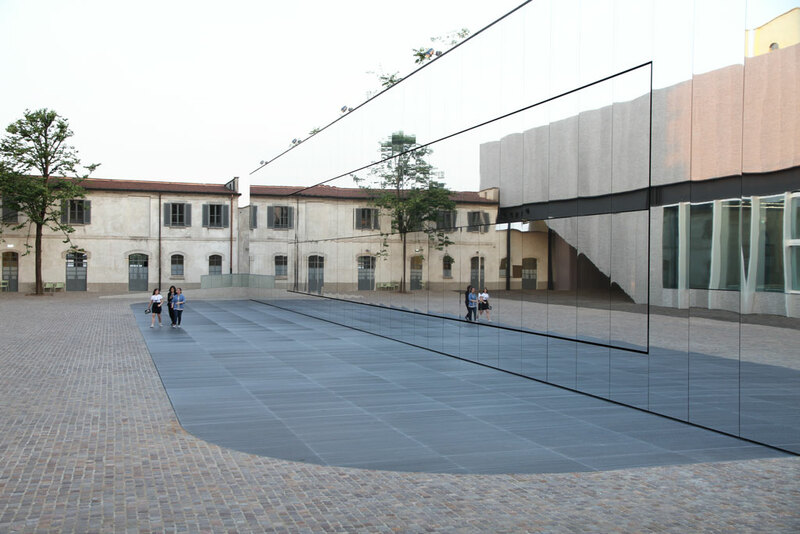 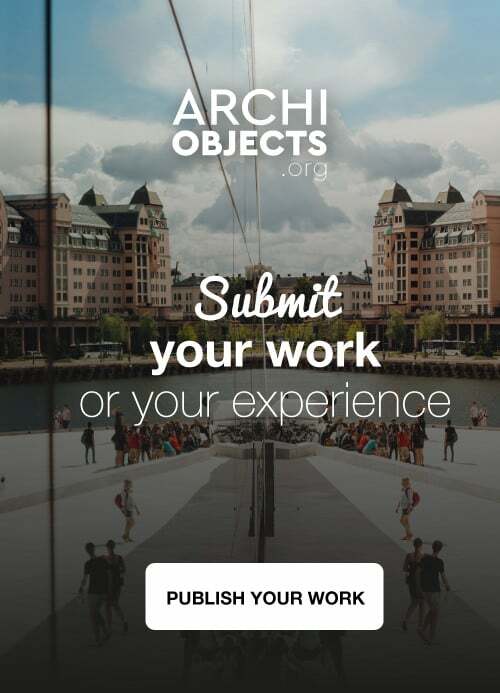 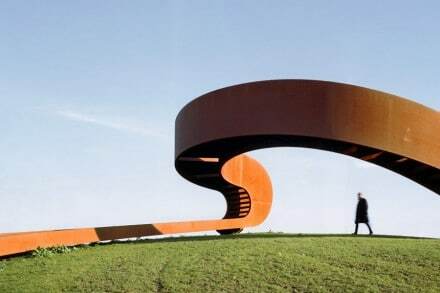 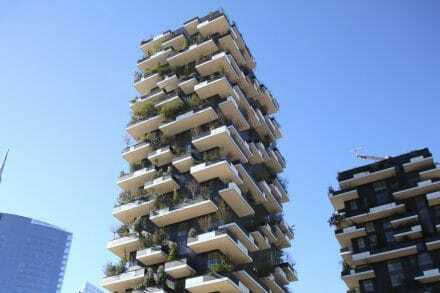 It is located in Largo Isarco, Milano and it is restored and designed by OMA. 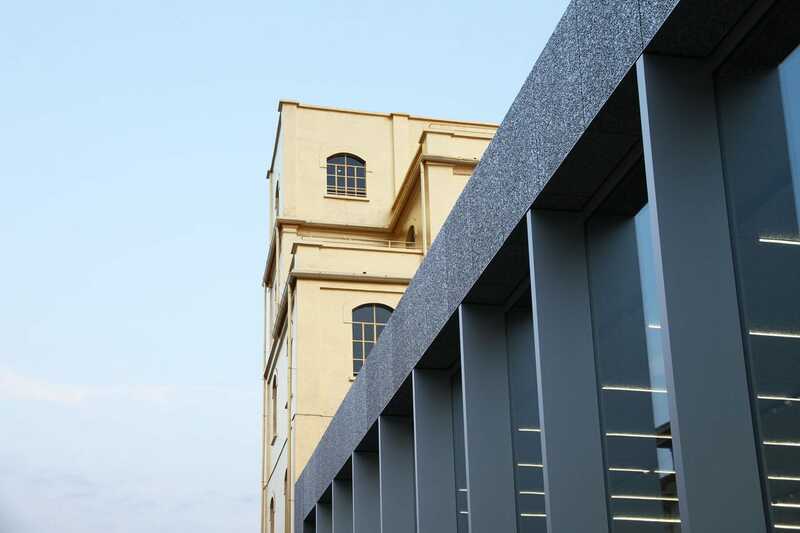 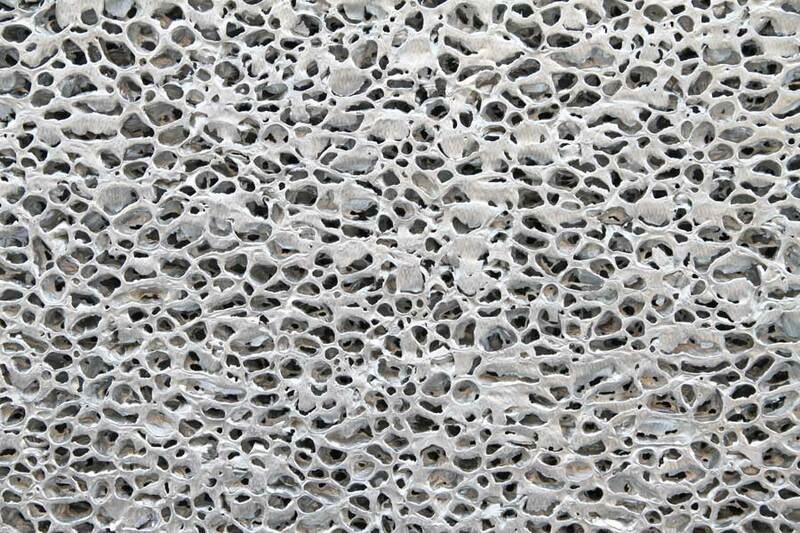 The project takes place on a former gin distillery, comprising warehouses, laboratories, brewing silos. 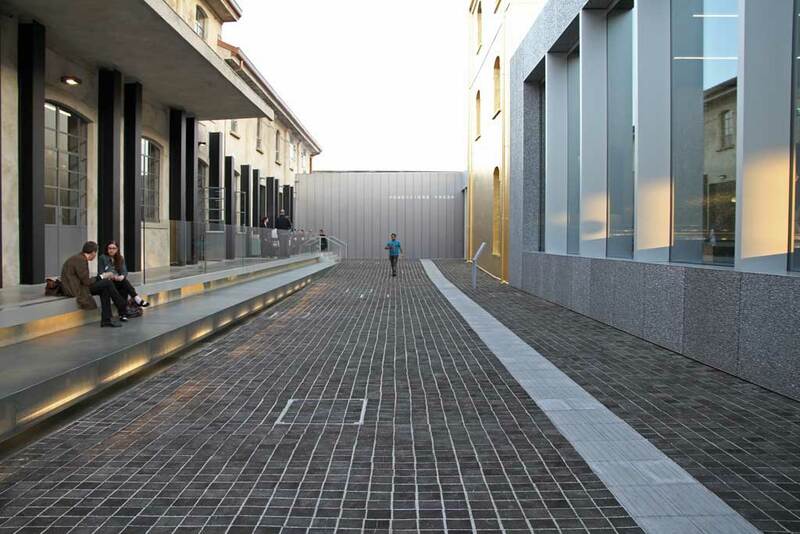 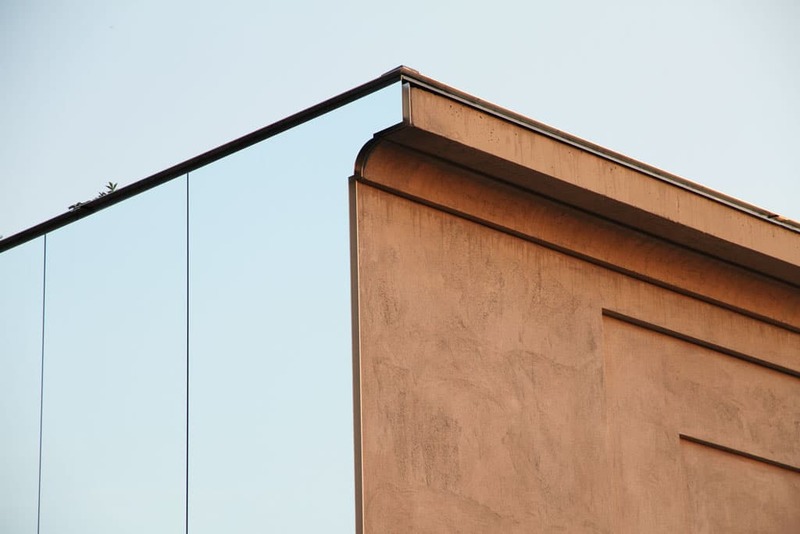 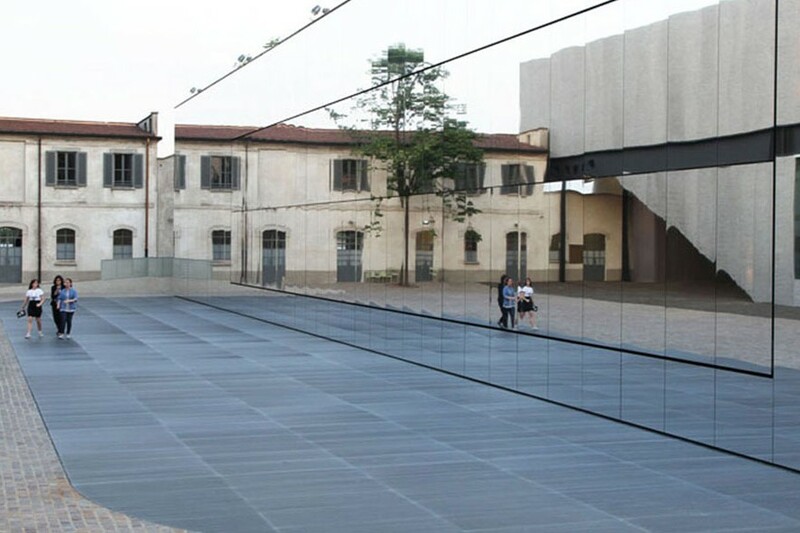 The intervention, led by Rem Koolhaas, Chris van Duijn and Federico Pompignoli introduced some architectural elements which are inserted at best in the context of the new Fondazione Prada. 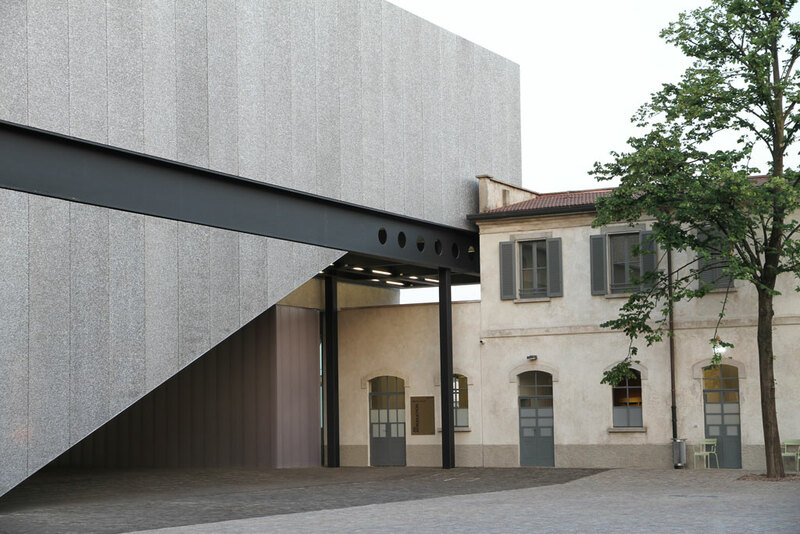 Between new interventions there are three new buildings: a museum for temporary exhibitions; a cinema: and the iconic gold tower, that contains a gallery for the foundation’s permanent collections. 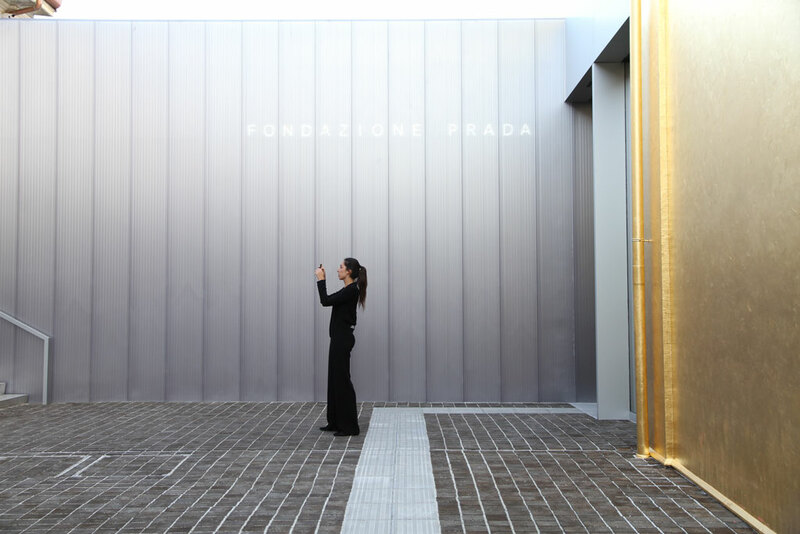 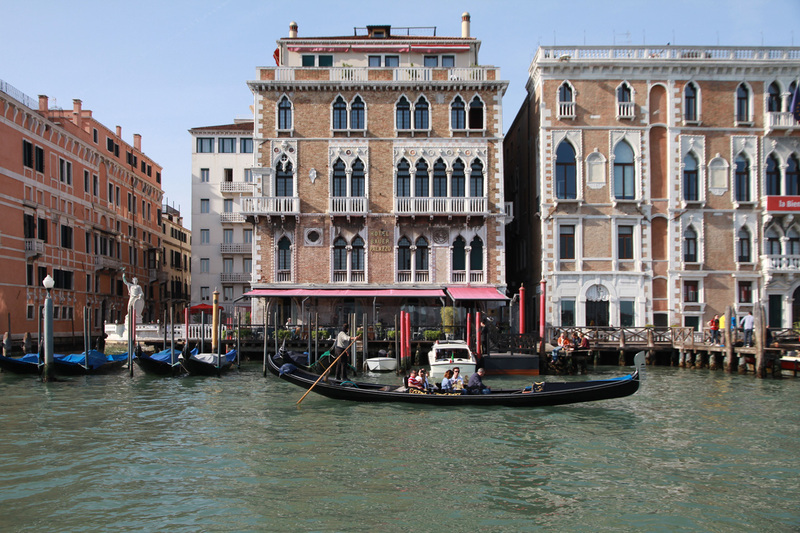 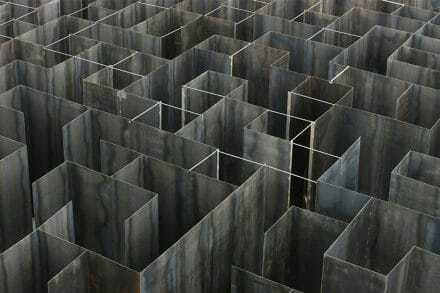 Here below our personal collection of photos taken during a visit to Fondazione Prada Milano. 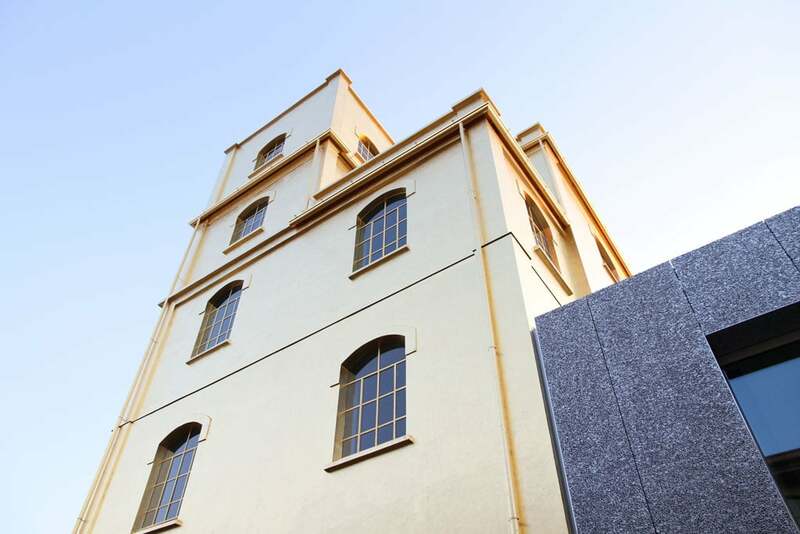 Personally i have to say that the most impressive thing in this project is the second courtyard, even more of the gold tower. 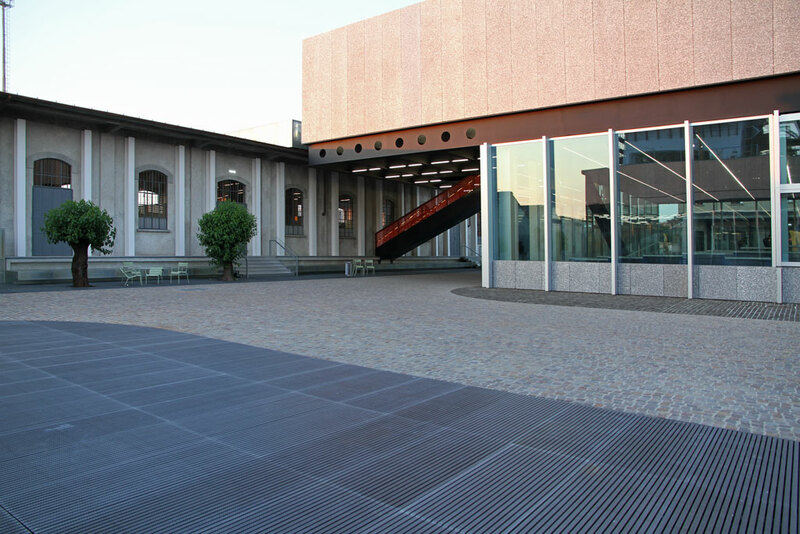 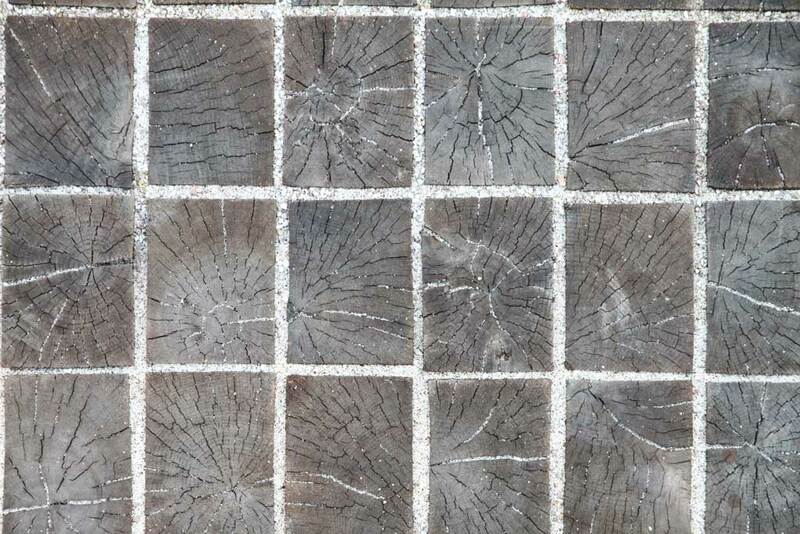 Two photos that focus on the floor-material in the first courtyard and on the facade-material of the museum building. 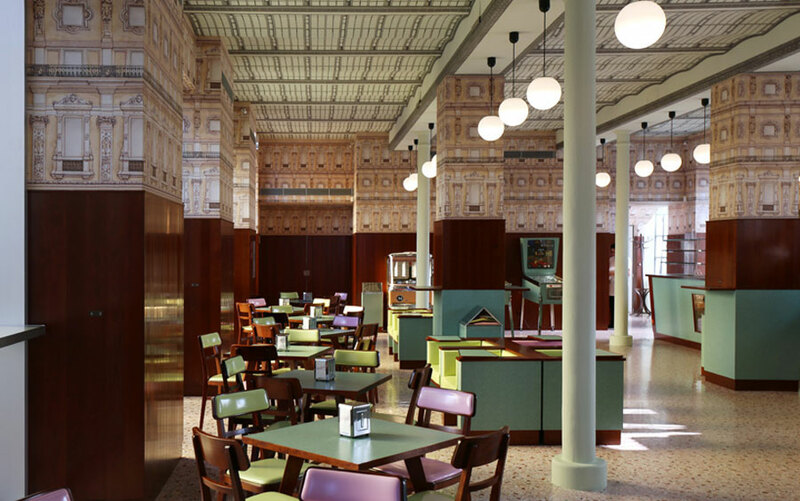 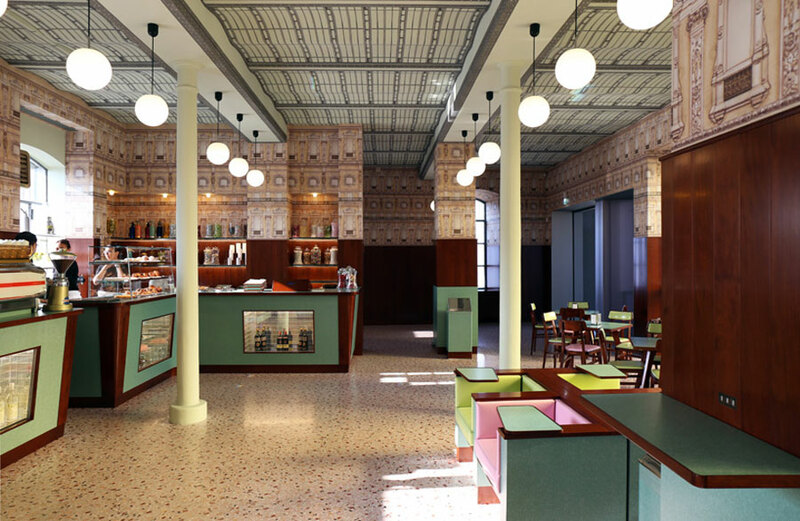 Here the Bar Luce, inside the compelx, desigend by american director Wes Anderson. 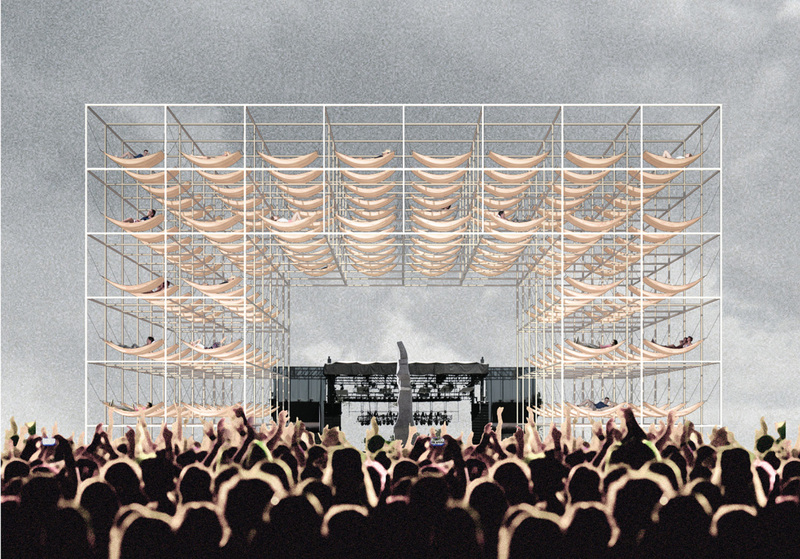 Next storyWhat happens when North Korean Architects try to imagine the future?